I’ll admit, when I first started my makerspace in 2014, I didn’t really know what I was doing. I wasn’t really sure what this whole makerspace thing was going to look like. It had been over ten years since I’d taken a science class, so I couldn’t rattle of how conductivity works, or what a circuit was. I took a C++ class once and knew some html from blogging, but that was about as far as my coding knowledge went. But that didn’t stop me. I started our makerspace anyway and figured things out as I went along. Looking back with more hindsight, I can understand better how things worked. You see, long before the Maker Movement was a concept we started talking about, I was a Maker. As a kid, I had an entire city built out of LEGOs on a card table in my room that I refused to let my mom take down. There was an entire K’nex amusement park on the top shelf of my closet. When me and my friends would build forts out of sheets and pillows, I prided myself on creating the designs that they wanted to “live” in. (Head to this post WAY back in the blog archives to see a few of my creations). I loved photography, from the “bird photography” I did as a kid where the bird was a tiny speck in the sky, to my first SLR in high school when I was the photography editor of our newspaper, to a dark room class I took in college. And I was always a crafter of some sort. I took art lessons as a kid and while I never fully pursued the discipline, I loved taking drawing and painting in high school. My mom taught me how to sew and I found the joy of taking a pile of fabric and turning it into something amazing. In college I discovered fiber art when my best friend taught me how to knit. I spent hours looking through patterns from public library books and pretty much knit my way through my bachelors degree, having needles on hand during almost every lecture. As an adult, I was well versed in the arts/crafts side of making, with a dose of engineering. But I didn’t know much about the science and technology side. So I learned. I dug in alongside my students. We discovered how things worked together. Sometimes I asked them to teach me (the concept of circuits was much fresher in their heads than it was in mine). I continued to be a Maker and learn with them. I certainly don’t consider myself an electricity or coding expert now, but I get the basics. To teach our students to be Makers, we need to recognize the Maker in ourselves. That doesn’t mean we all need to go out and knit sweaters or write 200 lines of code if we want to have effective makerspaces. But we need to get comfortable with learning aside our students. We need to discover the joy of making with them. Trust me, we’ll all benefit. My maker story has a lot of similarities to yours. I grew up in a family of farmers, mechanical types (my dad was a tool & die maker), crafters, and painters, so making was a normal part of life. My grandmothers taught me how to embroider and crochet, and at Christmas my mother would give me those 1970s craft kits – paint-by-number, yarn octopus, yo-yo clown, etc. I went to college to study writing and history and didn’t make much of anything until my early thirties, when I began to make crafts again. I began to explore art when my son was two and I realized how much I needed to engage my hands and my mind in making things. Science & engineering have never been my strong suit. I had to beg for a “D” in computer programming, and I was thrilled that I didn’t have to take calculus to get a B.A. Yet I married a computer scientist and my science-brained son is studying engineering, so I’ve gotten more comfortable with that world. These days I am working in a public library makerspace and am about to jump into 3D printing. I have a lot to learn, but I am excited to work in a collaborative environment where I can share my enthusiasms and learn from everyone. 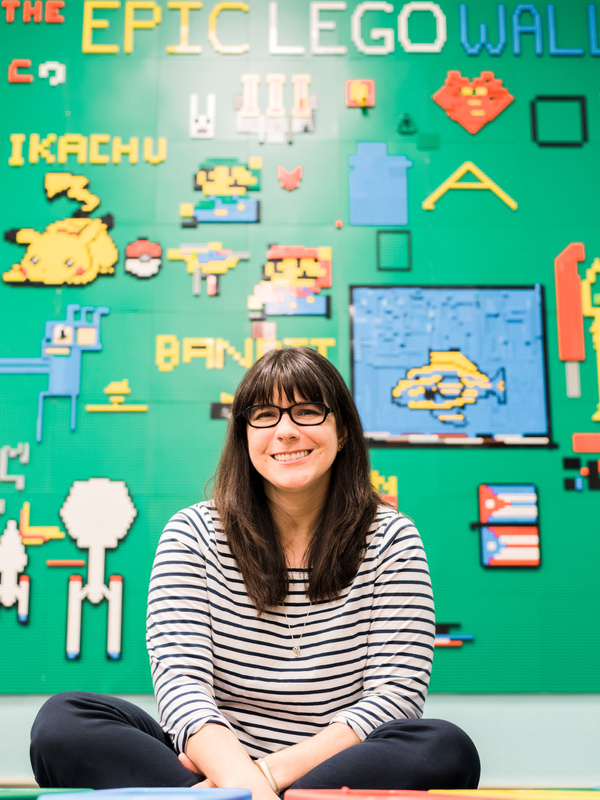 Hi, I’m Jackie Child, Teacher Librarian and recently given the title of Junior School Technologies Coordinator in a private school in Brisbane, Australia. More than 3 yrs ago I attended a seminar and the Maker Movement was spoken about, I was immediately interested and researched more. After speaking with my Principal I began a Makerspace in my Junior Library. I job share and I was thrilled my partner came on board. Together we engaged our students, all girls, into selecting projects they were interested in and they had to resource it themselves……we needed to find out if this was going to interest our students. Well, it did. The response from girls and parents confirmed for us this was a concept we needed to develop……and that’s how it started! We now have 2 areas assigned as Makerspaces for the very young students and upper primary students. Yes, when I reflect back on my life I have always been a ‘maker’ ‘tinkerer’ and ‘problem solver’, which was one of the issues I had with students now a days…….that lack of solving problems and finding solutions to ‘fix it’ type problems. 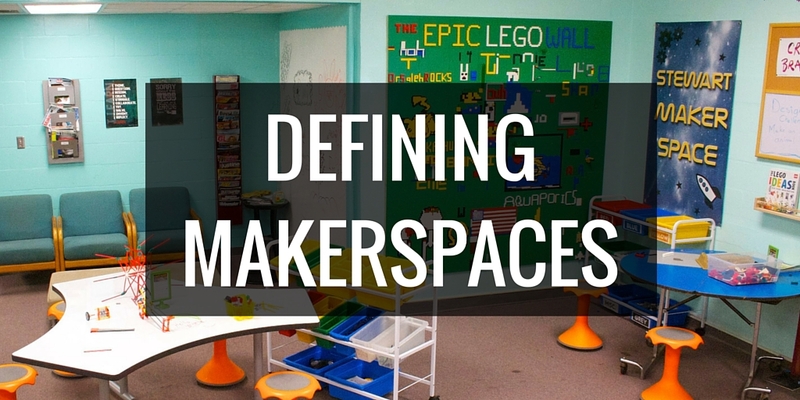 Our Makerspaces are evolving constantly to meet the needs and interests of our students.